Sometimes, we may have to move to other parts of the country, or even the neighboring country because of a new job or any other reason. You may not have someone at that new part that you can live with for a short while you search for the apartment. You may not have money to pay hotel bills for many nights, which means that you have to get a new apartment before you travel. Getting an apartment that you will fancy is not an easy feat at all, and when it is a long distance apartment search, it becomes a lot harder. Below are things you can do to greatly reduce the stress that you will encounter while you make the long-distance search. Getting to know that an apartment is vacant and you can lease it, is merely the beginning. 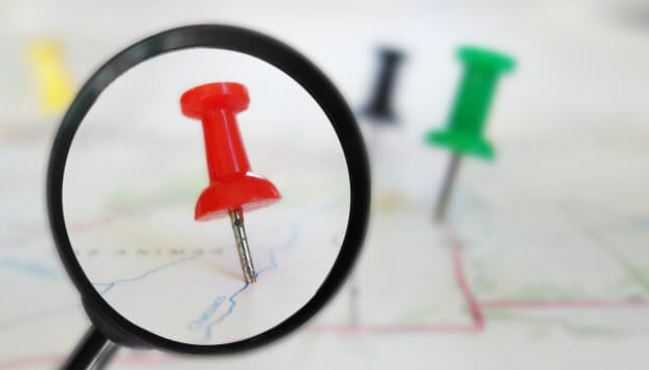 In your bid to ensure your next apartment search is on the right path, you have to find out everything you can about the area and the building. Is the area safe for you to rent an apartment? Will you like it there? These and more have to be asked and answered. You will have to find if the building has the right number of bathrooms or bedroom. Is that apartment in the new area close to your new place of employment? Is it close to a school if you have kids? These questions and more have to be answered on your next apartment search. You see Google, it does wonder, especially when you are going on your next apartment search. You can view Better Business Bureau, or anywhere that you will see reviews of apartment buildings. If you are confused about where to search, check nextapartmentsearch.com listings, and you will see reviews from old and existing tenants. Before you jump into leasing an apartment, you have to know if the landlord is good. What about the management company? Imagine you are staring at a listing of buildings in Next Apartment Search, and you find the one you like. You scroll down to see the reviews and see that a sole person’s review is bad out of scores of good reviews. There is a great chance that the sole bad review was written out of envy by the former tenant, or the former tenant was a pain to everyone in that building and needed to be let go. If you look at a set of reviews on a listing, and you notice that almost all are bad, it is important that you consider continuing your apartment search. You should be asking yourself, ‘How far is the apartment from your workplace?’ ‘Is it close to your children’s school?’ What of the closest grocery store? Gas station? Is there a park where you can take a jog? Will you be able to walk because of its proximity? No one likes a long drive. There are some places that have different timelines for renting. There is a time that renting and searching for apartments in towns like college towns; tourist towns are very high. If you don’t get the timing right, you may rarely get a building, whether bad or not. Get the timeline right, and milk the fats of the land. If you have found a building you want to rent a Houston apartment in or whatever place it may be in, it is important that you check out the area by yourself or you send a local. You can get a local by looking into your social circles. A friend may know someone who lives there. Have the person snap pictures, make videos of the apartment and the area. This is to ensure that you don’t end up in a cesspool. If you can’t go in person or get a local, you can request for help from your new employers. They will give you contact to employees there. After finding the building, and you have to travel down to see it yourself, you should note that you don’t have all the time in the world. When you go down to see that apartment in Houston, or wherever you are looking for an apartment, it is important that you be prepared to have the lease signed immediately you see the building, and you like it. Let’s say that apartment search in Houston, or wherever your new place is, you may easily lose out on a sweet deal if you procrastinate. Your Houston apartment search may just be a waste if you waste your time, instead of swinging into action. As every day goes by, there are new technologies that seem to be taking the world by storm. Your apartment search can be made easier, even when it is in a far location from where you stay. The number of rental agencies and apartment owners that use video walkthroughs, photos, VR, degree imagery apartment tours are on the rise. With your smartphone or computer, you can easily view how your future apartment looks like. An Houston Apartment Locator at NextApartmentSearch.com can help you find a desirable apartment in a location you want.